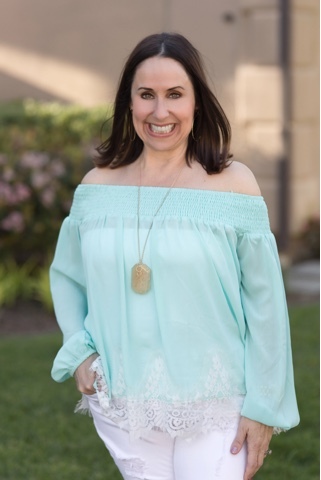 I just love spring time and one of my favorite things about spring fashion is the beautiful colors. This season I absolutely love mint green!!! I have seen this color everywhere--in tops, pants, scarves, and jewelry. 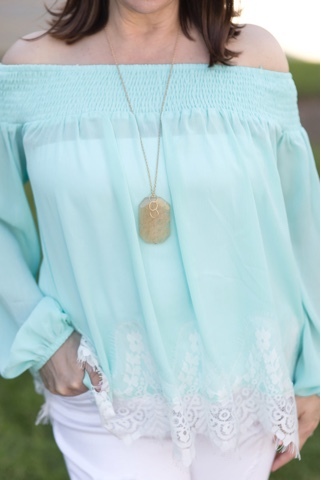 Mint is perfect spring color. 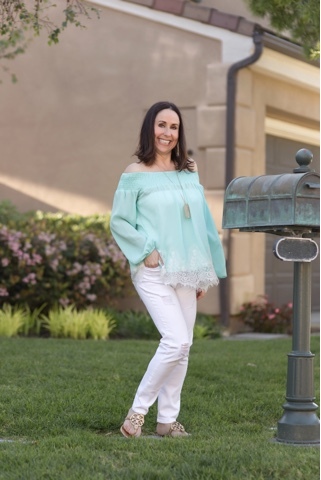 I love this mint off the shoulder top from Jasper Plum I think mint looks so good paired with white, so I chose these Flying Monkey white skinny jeans and added my gold Tory Burch sandals. I then completed this outfit with this fun necklace from Vici!!! I love how this outfit looks all put together. 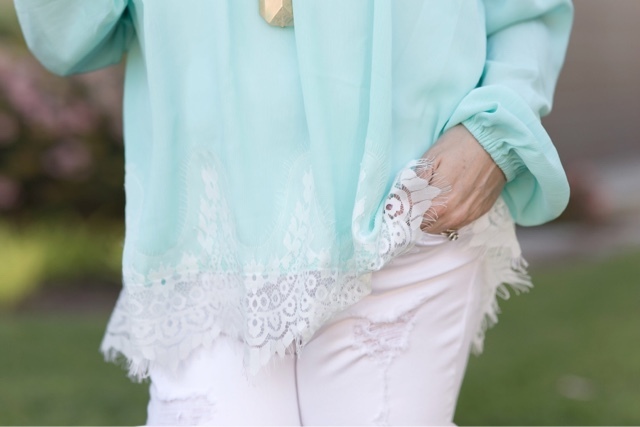 I highly recommend you invest in a mint piece this spring. What are your favorite spring colors? Thanks to Gabi Wells for photos and Happy Reading!!!! Thanks you are so right!!!! Spring is totally the best season of the year. And your spring outfit perfectly suits you. As you can read here an article - there is no limit in perfection. Thank you for this post.